Pro-Mark is proud to have Jim Wunderlich as an endorser and signature artist. His mallet series with System Blue should not be considered for marching alone. 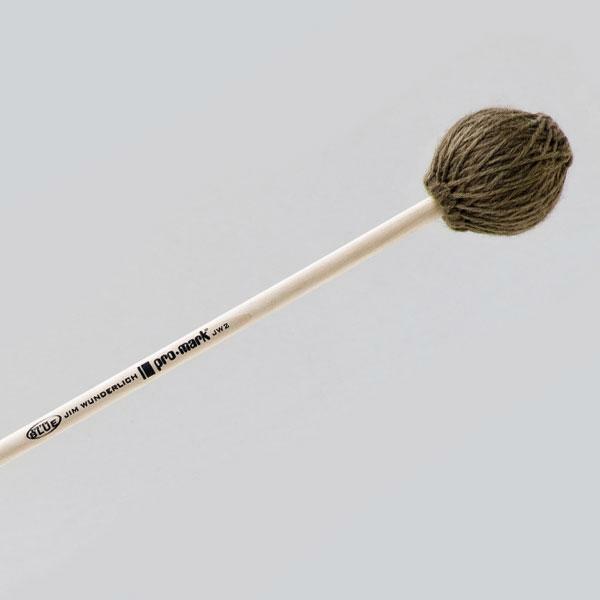 While they have durable components for outdoor environments, the lush tone of these mallets is an appropriate and tasteful choice for indoor concert or marching settings. The JW1 is the softest of Jim Wunderlich’s signature marimba mallets. 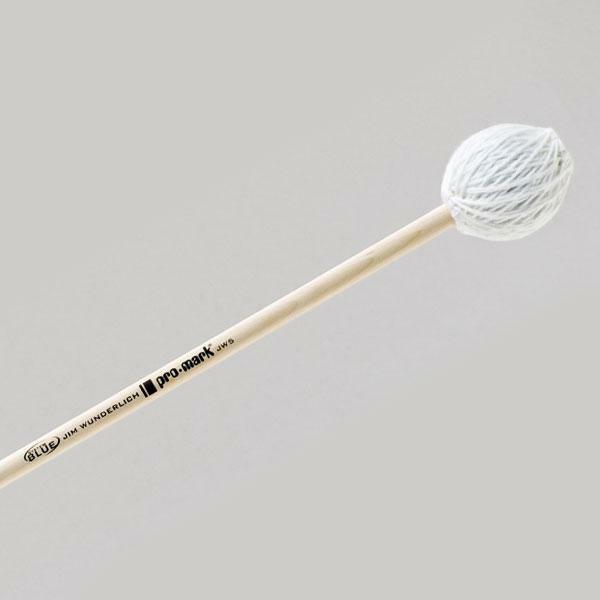 It features a rubber-like synthetic core wrapped tightly with durable synthetic yarn on a 15" birch shaft. This mallet is a great choice for a low-range marimba mallet in a graduated set OR for an individual ensemble player. Length: 17"
The JW2 features a rubber-like synthetic core wrapped tightly with durable synthetic yarn on a 15" birch shaft. This mallet will have great articulation and response in the low-range of 4.3 octave marimbas or those keyboards with “dry” bars. Length: 17"
The JW3 is the most diverse of Jim Wunderlich’s signature marimba mallets. 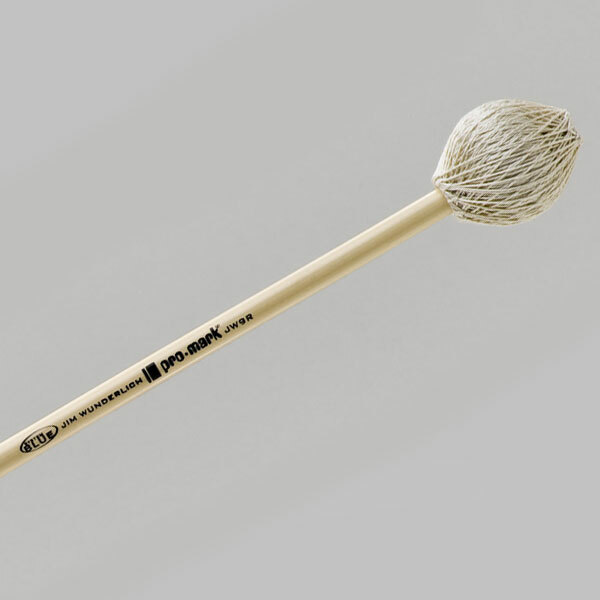 It features a rubber-like synthetic core wrapped tightly with durable synthetic yarn on a 15" birch shaft. These mallets will cover the marimba from end to end, but have a particularly smooth, rich sound in the middle of the instrument. Length: 17"
The JW4 is another great mid-range mallet in the Jim Wunderlich signature series. 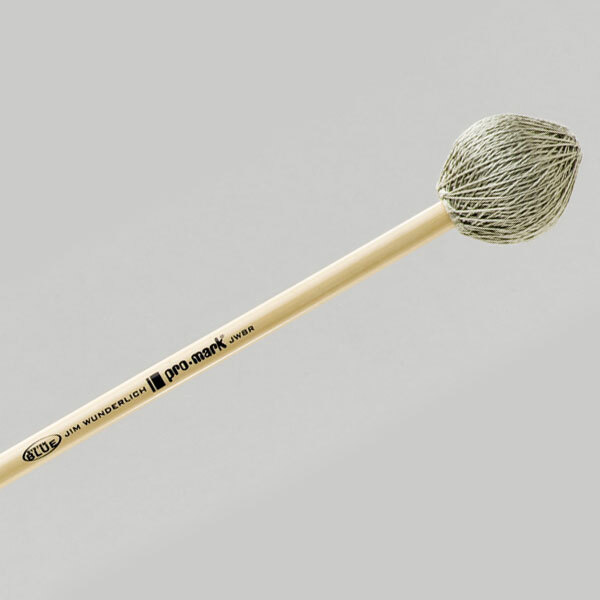 It features a rubber-like synthetic core wrapped tightly with durable synthetic yarn on a 15" birch shaft. This mallet speaks well in the mid to high range of the marimba, yet retains the warm, rich sound of this series of mallets. Length: 17"
The JW5 is the hardest mallet in the Jim Wunderlich signature series. It features a hard synthetic core wrapped tightly with an extra durable polyester cord on a 15" birch shaft. Use this light and easily maneuverable mallet in the high register for quick, articulate or colorful passages. Length: 16 7/8"
The JW6R is the softest of Jim Wunderlich’s signature vibe mallets. It features a synthetic core wrapped with yarn on a 14.5" rattan shaft. This mallet provides a glossy vibe tone with little attack. Length: 16 1/4"
The JW7R is a medium vibe mallet featuring a rubber-like synthetic core wrapped tightly with cord on a 14.5" rattan shaft. This mallet enables the player to execute a large range of dynamics while retaining a smooth tone. 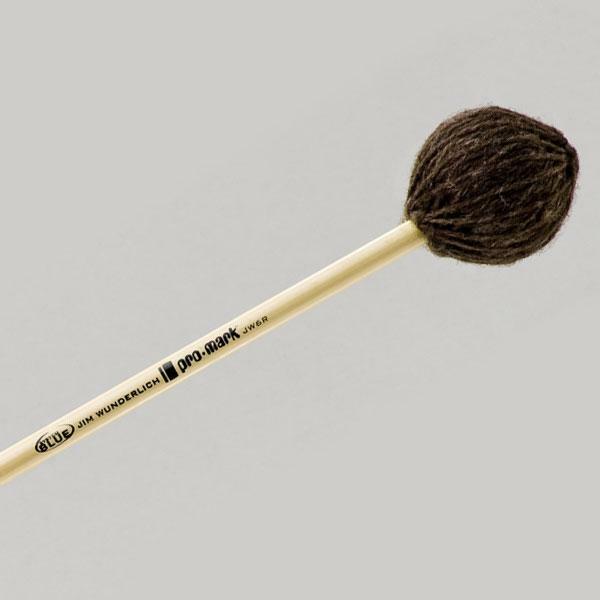 Length: 16 1/2"
The JW8R is the most diverse of Jim Wunderlich’s signature vibraphone mallets. It features a rubber-like synthetic core wrapped tightly with cord on a 14.5” rattan shaft. 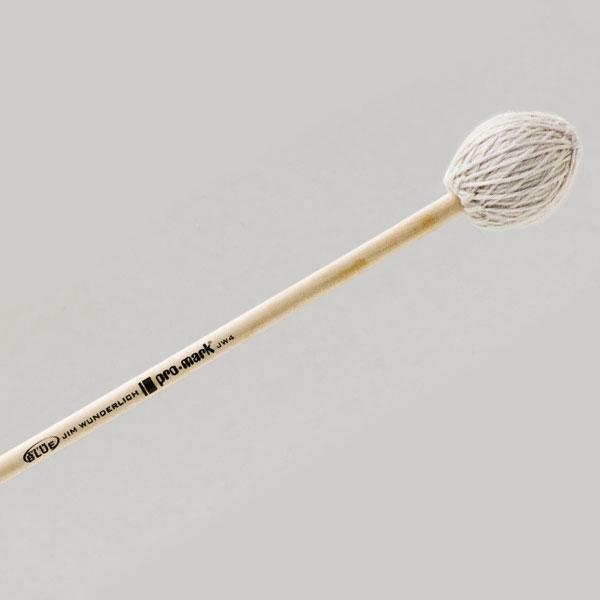 This mallet offers the player enough variety to “belt” out notes when needed and be able to immediately drop down to perform more delicate passages. Length: 16 1/2"
The JW9R features a rubber-like synthetic core wrapped tightly with cord on a 14.5” rattan shaft. A player using these mallets can punch out notes in front of the ensemble while preserving quality and integrity with the instrument. Length: 16 1/2"